With the Olympics eight months away, skaters are working hard this off-season to do whatever it takes to be part of the 2018 Olympic team. Mirai Nagasu knows what that is like. In 2010, at just 16-years-old, she made the Olympic team and finished fourth at the games in Vancouver. In 2014, despite finishing third at the U.S. Championships, she was left off the team. This season, the 24-year-old from Arcadia, California has her sights set on making that Olympic team and is planning to do whatever it takes to leave no doubt in anyone’s mind that she belongs on that team. 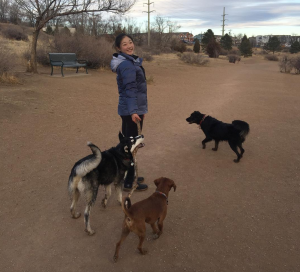 Figure Skaters Online caught up recently with Nagasu to get an update on her training and preparations for next season. Figure Skaters Online (FSO): If you could sum up the 2016-17 season in one word, what would it be and why? Mirai Nagasu (MN): I would say it was a learning experience because I made a lot of mistakes that I feel I could have easily avoided. Going into this Olympic season, I know I don’t want to make those same mistakes and I want to apply my mistakes to the next season, but in a good way. FSO: What were you most proud of this season? 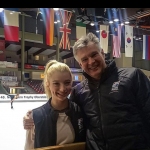 MN: I was training really well and when I didn’t put it together at Nationals, to put it together at Four Continents was a really satisfying feeling. FSO: If you could re-do anything from this past season, what would you do over again? FSO: Four Continents seems like it is your event. You have medaled at that event the past two seasons–silver in 2016 and bronze in 2017. MN: It is my event! (laughing). It is in February which is the same time as the Olympics. I just have to skate strong at Nationals to make it to February. FSO: This year, Four Continents was in Gangneung Ice Arena in Gangneung, South Korea, the same arena where the figure skating events will be held for the 2018 Olympics. What was it like skating in the same venue where the Olympics will be hosted almost one year later. MN: I loved it. I loved the venue. I loved the ice quality. I thought it was a lot of fun. So hopefully, I can make it back there. FSO: Your season ended with Four Continents. Since Four Continents, how has your training being going and what have you been up to since your season ended? MN: Training has been going really well and I have been doing a lot of shows. I have also been just keeping busy with school. I felt like last year I had to take a lot of time off and the year before that I had to take time off because I was injured (knee injury at 2015 U.S. Championships), but this year, I don’t have to take that time off which is going to be a big boost of confidence for me because I will be able to train through that time that I had to take off last year. Last year, I started the season off feeling really weak, but had a good outing and I think I’ll be able to build upon Four Continents from this past season, that’s my goal. So I’ll be at a better starting position than the last two seasons. FSO: In an interview with Icenetwork published on March 9, you said you were thinking of keeping both programs. Is that still the case? MN: No, I’m going to be getting a new long program, but I’m definitely keeping my short program (Nocturne No. 20 in C-sharp minor by Frédéric Chopin, choreographed by Jeffrey Buttle). FSO: When will you start working on your new long program and who will be choreographing it? MN: I will be working on it in June. I will be working with Jeff Buttle. FSO: Since you are keeping your short program from the 2016-17 season, will you be re-choreographing it or keeping it the same? MN: I think we are going to keep it exactly the same, but you never know I guess. FSO: Why did you decide to keep your short program? MN: I feel like the short program really fits my personality. It is just so beautiful. Just an eerie kind of beautiful and I feel like I really fit that type of music. I feel as the season has grown, I have grown with the music and I feel like I still have so much potential with it, that I want to keep working with it and improve it that much more. FSO: What is it like working with Jeff Buttle? MN: It is amazing. I have always admired Jeff’s skating. I saw him a couple of times when he used to train in Lake Arrowhead (California) and ever since then, I have really admired him. So to work with him, because he retired not too long ago, he understands that a free program is really difficult and that we need moments to breathe. So he understands when to give us the right breathing points and if a move doesn’t feel right, he isn’t like, ‘Oh just work on it,’ he will make it feel right in that moment. So I really enjoy working with him. His creativity is out of the roof. Originally I didn’t want to skate to Nocturne in C-sharp minor but he really pushed me to do it and I’m really glad that he did because it has grown on me so much. FSO: What are some of your goals for training this summer, both on the technical side as well as program component aspects? MN: I have been working on my skating skills a lot with Ryan Jahnke. Always upping my jump ante with Eddie (Shipstad) and Tom (Zakrajsek), of course. But obviously, the triple axel is a work in progress and I’m just working on its consistency so that I can feel confident putting it in my program because it is a big point getter. Every point counts. FSO: Training the triple axel. Are you practicing it every day? MN: (I practice it) every day! I put on those protective pads so I can take those hard falls and kind of go for it. FSO: If you could give your triple axel a grade right now, what would you grade yourself? MN: I would definitely give it a C because it is not like a double axel where I know I can give it a A. I give it a C because I’m still trying to get consistent with the takeoff. FSO: There aren’t too many ladies doing the triple axel in competitions these days, even though there were skaters in the past who have attempted this jump. So what made you decide you wanted to try it? MN: I’m the type of skater where I like to push myself all the time. The triple axel has actually been around for a long time. Like Mao (Asada). Even Kristi (Yamaguchi) attempted it, even during the Tonya Harding days. Tonya had a good one, Midori Ito. So it has been around, just not yet consistent. With the rising generation, it is becoming a standard part of their routine and there are girls out there already practicing their quads, so I think just working on it is the first step. FSO: Will you attempt a quad? MN: You know what? I don’t think my body can handle it, but I like to work on them on the pole (harness), but I don’t have the confidence doing it off the pole. Nagasu with coach Tom Zakrajsek reacting to her free skate score at the Four Continents Championships. FSO: What is like working with Tom Zakrajsek? You have been working with him for three years now. MN: I love working with Tom. I feel like he is one of my professors because he comes in with an agenda every day and we execute according to the plan. I know that the plan leads up to, kind of like exams, each competition. So he helps me regulate where I need to be, like if I need to taper or if I need to push myself, he will let me know. So that route of communication is really strong and it is consistent. I feel like he is good at pushing me through a lot of situations, like when I need to take a break, or if I’m sick or hurting, he knows when to push me and when I need that break, so I feel that our coach-student relationship is really strong. FSO: At the end of April, you participated in the Team USA photo shoot for the 2018 Olympics. What was that like? MN: It was a lot of fun. I had a lot of fun doing the interviews with Cookie Monster and taking a bunch of photo shoots so I guess my goal is to get on the (Olympic) team so that my promos actually air. FSO: U.S. Figure Skating policy still states that the National Champion is not guaranteed a spot for the Olympics. As you know well from prior experience, even if you finish third on the podium you may not be named to the team. So what will it take for you to be worthy of an Olympic spot next year? MN: I’m thinking of going into the year as if I’m going in for a job interview. I want to skate strong at each competition so I can put it on my resume. Then at Nationals, I want to have a strong resume going into the event so that regardless of how I perform, I, at least have a strong resume to back me up. With the rule that says the National Champion doesn’t necessarily have a spot, I’m hoping that I will have a strong enough resume in case I don’t pull it together at Nationals. However, I fully plan to pull it together at Nationals. FSO: This is your third Olympic cycle and your third time attempting to make the Olympic team. Is the pressure any different now that you are a past Olympian or is it the same pressure? MN: I think that I definitely want it more every season, regardless if it is Olympic season or not, but I definitely feel like my body is nearing its limits. I say that every year that I feel old and then I crank out another year. I feel that I have improved so much so I feel like I shouldn’t say that, but I definitely want it a lot more now and it would mean so much to me to make the Olympic team. But at the same time, I know what is important to me is to do everything in my power to make it a strong season. Regardless if I make the Olympic team or not, I want to show myself that I put my best foot forward. FSO: You say that you feel your body is nearing its limits. Are you thinking of hanging up your competitive skates soon? MN: I don’t know because I love training. I love making myself get up after I fall and being cranky because I had a bad day because I know that I’m working towards a goal and I love achieving goals. But I think there will come a day when I will have other goals and I’m still in the process of finding the right career path at school. I’m proud of myself for looking for that career path, so that when that path starts to lead off, I think I will follow it. I have been skating since I was five years old so I will always be in skating. I’m proud of myself for learning how to balance it right now. FSO: How is balancing skating and school? You are taking classes at the University of Colorado-Colorado Springs. MN: It has been so stressful, I can’t even tell you. I think there is something about panicking over exams and studying that I can relate to with skating (laughing). There is just something about finishing exams though that is the most satisfying feeling. It is like competing. After you are done competing, it is like a huge relief and you feel like you have worked so hard to get to that competition so I get that same feeling from exams. Going into exams, I am like, ‘I cannot put myself through this stress anymore, I just need to focus on my skating.’ But as soon as exams are over, I’m ready to take on round two so I think that similarity (between skating and school) having it in my life more often makes going into competition with a better mindset easier. FSO: What is your stress reliever? FSO: What courses did you take this semester? MN: Marketing, management, second semester of accounting and the second semester of statistics. FSO: Will you be going back to school in the fall, given that it is an Olympic year? MN: That is a hard question because through the whole (spring) semester, I had the mindset that this is my last semester and I need to get a huge grade. However, now that I’m done I kind of miss school already so that is a decision in the process. I think I may take a summer course and take the fall off so that I don’t feel like I’m too much of a slacker (laughs). 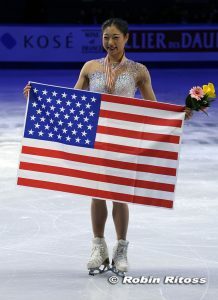 FSO: After the season ended, the big news that came out of the skating world was the retirement of Mao Asada. What are your thoughts on her retirement and how has she influenced your skating? Also, how do you feel about skating again this summer in her THE ICE shows in Japan? MN: I think with Mao’s retirement a skating icon will be missed, but I think her career has been so illustrious. Overall, she has just been a huge role model for me so to have the opportunity to skate with her consistently in THE ICE is something I’m very grateful for. FSO: When was the first time you skated with Mao Asada in THE ICE? MN: I think I was 14 years old. FSO: What club competitions will you be doing this summer? MN: I don’t know, but I do know we have to do at least one summer competition. Last year, I did Skate Detroit. I think that is one of the later ones, but we will see. FSO: Any plans for the summer, other than skating? Any trips? MN: Going to Japan for two weeks (for Mao Asada’s THE ICE in late July to early August) and I love Japan so much. I love the food there, I love the culture, I love the people. I love that I can kind of communicate with everyone so I’m really excited about that.